The University of Bedfordshire has been criticised for breaking its own rules to allow a PhD student to submit a thesis for a third time. A Quality Assurance Agency investigation found Bedfordshire’s academic standards had been endangered by the “seriously flawed” decision, which “did not reflect the academic rigour and objectivity which would be expected”. The case concerns a PhD student whose original thesis was submitted in July 2008, but who failed to pass the viva voce held three months later. In March-April 2010, a resubmitted thesis was deemed worthy of a doctorate by an internal examiner, but two external examiners recommended an MPhil because significant weaknesses in the thesis had not been addressed. However, while Bedfordshire’s rules clearly state that candidates can only “resubmit for the degree and be re-examined on one occasion”, it arranged for new examiners to assess the work again 12 months later. In 2012, a second viva was held and the candidate passed. Two external examiners who had previously failed the candidate raised concerns with the QAA after hearing about the student’s success. In its report, the watchdog expresses concerns about advice given to the candidate by the internal examiner between the first viva and the first resubmission. 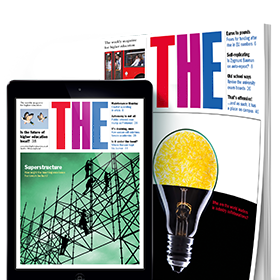 This intervention “may have materially affected the content of the resubmitted thesis”, the QAA says, and such advice should have been left to the candidate’s supervisory team. The watchdog also questions why the decision to set aside the examining rules was not taken by the university’s research committee or even reported in detail to it. In July 2012, a QAA report said that Bedfordshire’s PhD appeals processes were inconsistent, unclear and unfair, with panel decisions being both uncritical and superficial. In light of the latest findings, the university has agreed to keep under review regulations, policies and procedures revised after last year’s report. It had also made “significant personnel changes”, it added.